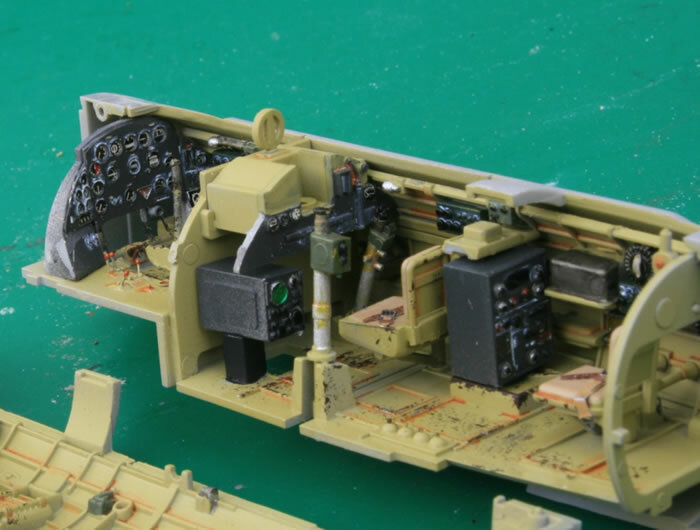 Returning to 1/48 aircraft after a ten year hiatus I found this Hasegawa kit in my attic and decided to build it. Although this is a radar equipped aircraft no CRT console was provided with the kit. Based on photos in the Mikesh book on Japanese cockpit interiors I added a cutting edge resin ‘Gee box’ which looked right for the job. I assumed it would be located in the observer’s location in the middle of the aircraft. The interior was sprayed with the old Aeromaster Nakajima interior green (they keep well!) 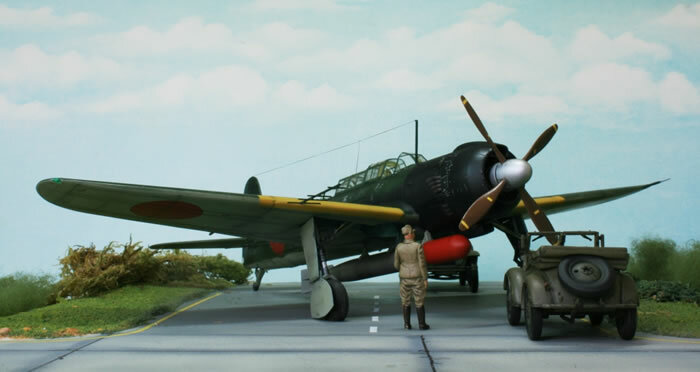 The exterior was sprayed with Tamiya Japanese Navy green and grey. I scratch built the radar antenna as the plastic originals are very clunky. I cut back the canopy and the sliding sections were then used from the Squadron signal vac form canopy. To give scale I added the Tamiya kurogane car and the UM models refueller. 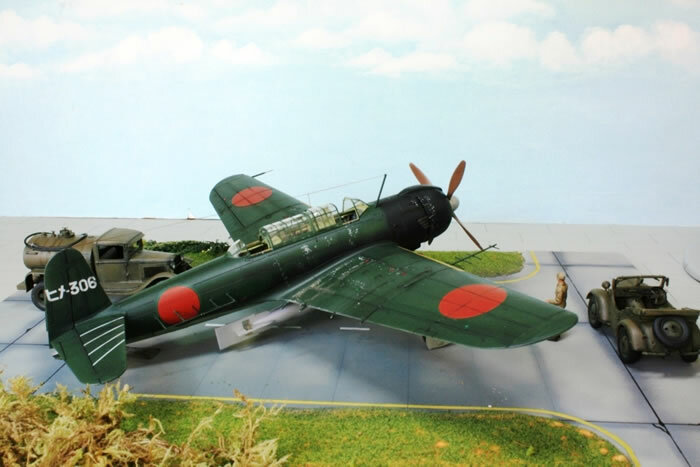 Fortunately an interesting website gave background information on the Himeji Air Group. 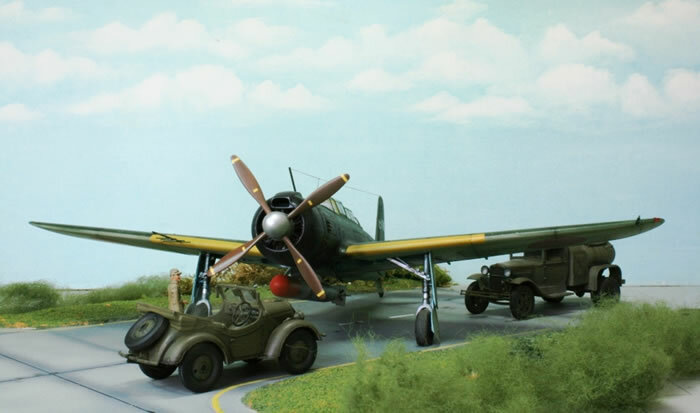 The Himeji Naval Air Group was formed in October 1943 and used Uzurano Airfield as its base. The Air Group mainly had responsibility for flight training on the Type 97 Carrier Attack Bomber (Allied code name of Kate), which had a three-man crew. 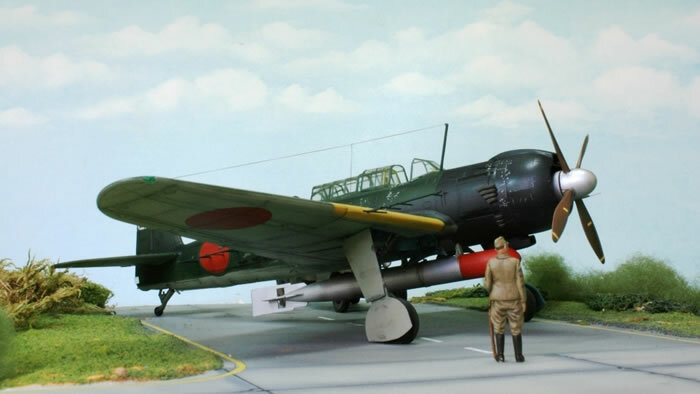 The airfield also was used to test Shiden and Shiden-kai fighters produced by the Kawanishi Aircraft factory next to the airfield. The runway, no longer in use, remains in much the same condition as during the war. The Kamikaze Special Attack Corps Shirasagi (White Egret) Squadrons were formed from Himeji Naval Air Group members, and they spent day and night training here at Uzurano Airfield. The 63 men led by Lieutenant Kiyoshi Goto had 21 carrier attack bombers that sortied five times starting April 6, 1945, from Kushira Air Base in Kagoshima Prefecture. The men died in battle as they carried out taiatari (body-crashing) attacks together with their aircraft against American ships around Okinawa.